I am too scared for foreign ETF, there is so much. I am concidering pulling all my money from the JSE except for TASTE and wait till next year. so 'n groot val moontlik eers in 2017 plaasvind. aandeelmarkte eers daal, voordat nuwe stygings in Oktober 2016 kan plaasvind. egter nie in die volgende paar maande 'n nuwe hoogtepunt aanteken nie. volgende paar maande nuwe alletye hoogtepunte vir 2016 kan aanteken. sal volgens ons ontledings egter nie vanjaar nuwe 2016 hoogtepunte behaal nie. JOHANNESBURG – Some traders and investors in Mauritian-based investment company Astoria have taken to social media to voice their anger about a share option incentive scheme for executive directors calling it “shameless plundering”. The company, whose investments are run by Anchor Capital, listed on the JSE’s Alternative Exchange in November last year at R14.49, but its share price has dropped roughly 24% since listing. It closed at R11.03 on Friday. The company announced on Thursday that a share option scheme that permits the listing of up to 25 million ordinary shares has been approved, which could be offered for subscription to its executive directors. A cap is applicable at the lesser of 10% of the total issued share capital and 25 million shares. No price was disclosed. “The purpose of the scheme is to attract, motivate, reward and retain executive directors who are able to influence the performance of the company, on a basis which aligns their interests with those of the company’s shareholders,” it said. JSE:BLU (Blue Label Telecoms) is about to get a serious boost if this becomes reality I would say. Been watching TAS almost as if someone or something or group is trying to keep it at R2. Thought: Do you guys think EasyEquities would start to accept bitcoins as a payment method? I should probably create a new thread for bitcoins? Should we call it "The Bitcoin thread"? I noticed this as well. Sharenet emails me their daily moves and also last 10 trades of the day. Looking at these for the last few weeks, some pretty big buys that keep the price above R2. Anyway, personally think that someone(s) just buys at around the R2 or under mark and stops around the R2.05 mark. It's what I've been doing recently anyway. Got my average purchase price down to R2.13c and got the amount of shares I wanted so concentrating on gpl now. What happens to the index when SABMiller goes? CAPE TOWN – This morning in London, SABMiller shareholders are meeting to vote on the proposed merger with Anheuser-Busch InBev (AB Inbev). For the deal to be approved, 75% of shareholders need to vote in favour. The expectation is that the motion will be passed, triggering a series of events over the next few weeks. A successful vote will mean that Thursday, September 29 will be the last day to trade SABMiller shares on the JSE. The stock will be suspended from the start of day on September 30, and will be de-listed at the close of day on October 4. SABMiller shareholders will receive their cash payment between 11 and 13 October. As soon as SABMiller is suspended, it will also fall out of all local indices. This means that from the morning of Friday, September 30, the Top 40, the All Share Index and Industrial 25 in particular will all look rather different. Importantly, SABMiller will not be automatically replaced by AB Inbev. This is because this is a cash transaction. If SABMiller shareholders had received AB Inbev shares, then the newly-merged company would have come into the index immediately. In this case, however, the transaction is cash only and will only be completed some days after SABMiller shares are suspended on the JSE. Also, AB Inbev does not currently qualify to make any JSE indices and cannot be considered until the next index review. Currently, Impala Platinum would be the company to replace SABMiller in the Top 40, although the JSE has not yet confirmed this. Currently, however, Impala’s market cap is R49.6 billion, compared to SABMiller’s R1.3 trillion, so its addition would have an impact on the make-up of the index. “There will be a large disparity in weights, so the weight of everything else in the index will go up,” Randall says. 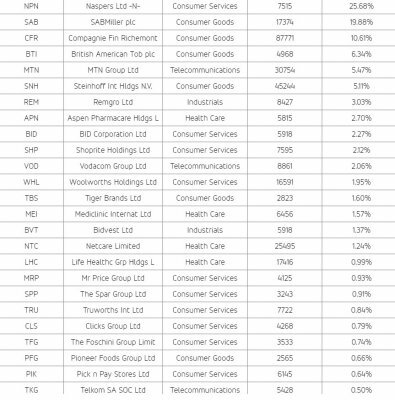 Portfolio manager at Satrix, Johan Hugo, points out that SABMiller is currently around 13% of the Top 40. If Impala were to come in, it would make up only around 0.75%. In the Industrial 25 index, this impact will be even bigger. 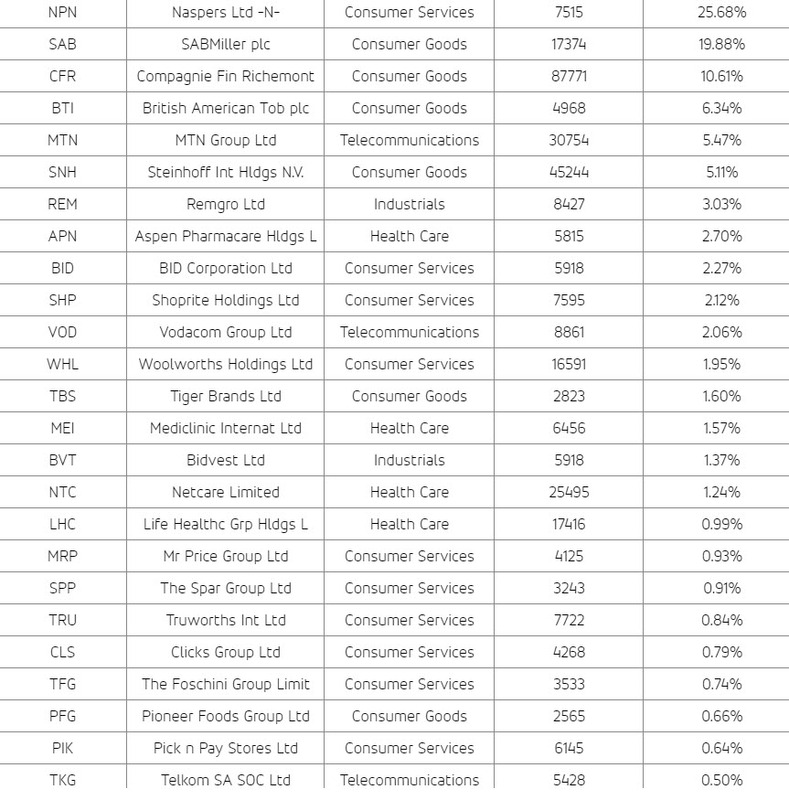 Hugo estimates that Naspers will go up to around 32% of this index. 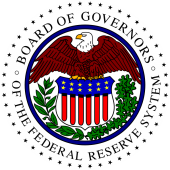 This not only poses problematic concentration risk, but is getting towards a point where the index could no longer be investable. How do index trackers handle SABMiller’s suspension? Since index tracking products have to always track the index as it stands, they will be forced to re-balance their portfolios as soon as SABMiller falls out. This has to be done immediately, and they cannot sit with SABMiller shares in their portfolios waiting for the cash payout. In other words, all index tracking products that currently hold SABMiller shares will have to sell them before the market closes on Thursday, September 29. “We will have to trade in the closing auction, and reinvest the money from the sale of SABMiller shares into the rest of the index,” Hugo says. Since this will be some very concentrated buying and selling, it is worth questioning whether this could create price distortions. However, Nerina Visser from etfSA.co.za says that it shouldn’t have much of an impact. What if the vote doesn’t pass? Although shareholders are expected to approve the merger, if the deal were to be voted down at today’s meeting, SABMiller would remain part of the index for now. However, AB Inbev would then almost certainly launch a hostile takeover bid. That would take more time, but if it reached a 75% shareholding, it could then de-list SABMiller and a similar process would ensue. If, however, it only reached a majority shareholding below 75%, SABMiller would remain listed. There would still, however, be an impact on the company’s position in the Top 40 because its local free float – the amount of shares that could be freely traded on the JSE – would be lower. This would reduce its weighting. Interesting I did not know DRD gold is the oldest company on the JSE! 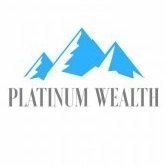 1895 - DRD listed on the exchange, the oldest company remaining listed to date. Is there anything that could help STXIND back on track??? Only solution is to sell it (or stop investing into it...30% of my TFIA) and go with something else. NFEMOM has a vastly different approach but that in combination with DIVTRX, PTXTEN and DBXWD is what I favour. I have CTOP50 and PTXTEN since June also 4% red. Glencore has a graph that looks incredible tempting, I see a upswing movement? Starbucks South Africa subsidiary owner, Taste Holdings [JSE:TAS], is focusing on delivering a “quality” Starbucks experience and is in not going to add any “pressure” on itself to churn out more Starbucks stores for the time being. This is according to Taste Holdings CEO Carlo Gonzaga, who was speaking at the recent FNB Franchise Summit held at Montecasino. He shared on the progress of the two Starbucks outlets, in Rosebank and Midrand, since being launched in April 2016.